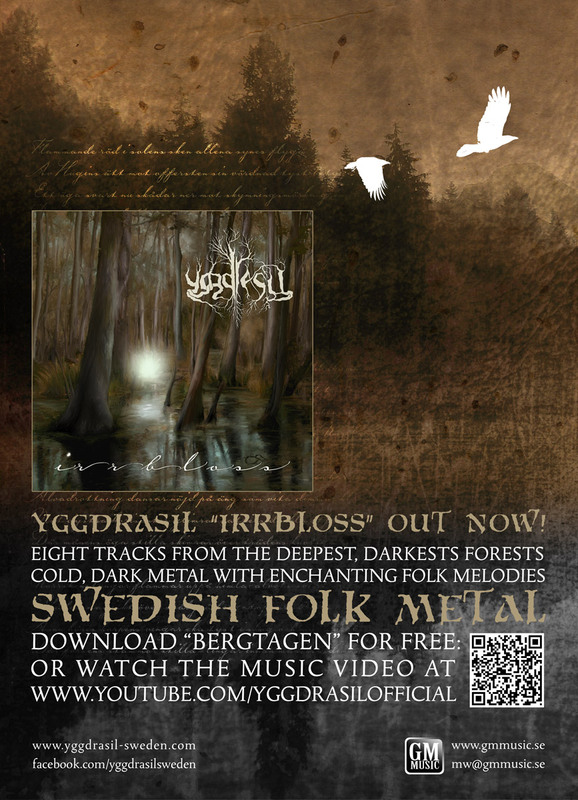 2008-07-04 - As of now, the pre-production of the new Yggdrasil-album has begun and in a week or so we will have decided tracklist and album name. Recording will commence in Endarker Studios (Marduk, Sargatanas Reign and more) the last two weeks in August and with a little luck the album will be out later this year. 2008-04-04 - OUT NOW! Might is Right II incl. Live DVD Ragnarök 2007. 2008-03-31 - Due to some confusion between us and the Ragnarök Festival we had to step down and accept the fact that we weren´t going to make it there - we really apologize to all of you who wanted to see us. We did however play at the Dark Side club in Berlin and want to thank Fate of Pyre and Apocryphal for great shows opening for us! We had a great time and now we´re going to focus on writing and arranging material for our next album. Stay tuned for more info! 2008-02-13 - YGGDRASIL has been booked for the Ragnarök Festival in Lichtenfels, Germany on the 28th of March 2008! Another show in Germany will take place at the Darkside Club in Berlin on the 29th of March. Looking forward to seeing you there! Vampire Mag. : "...Yggdrasil are not willing to settle for anything that could be newsribed as 'generic'" ... "a band who are genuinely following their own path." 2008-01-02 - The first reviews of the debut album "Kvällningsvindar över Nordrönt Land" are coming in, and the result is looking great. Keep 'em coming and a big thanks goes out to all of you who have supported (and keeps supporting) YGGDRASIL is various ways.